SAND SPRINGS, O.K. 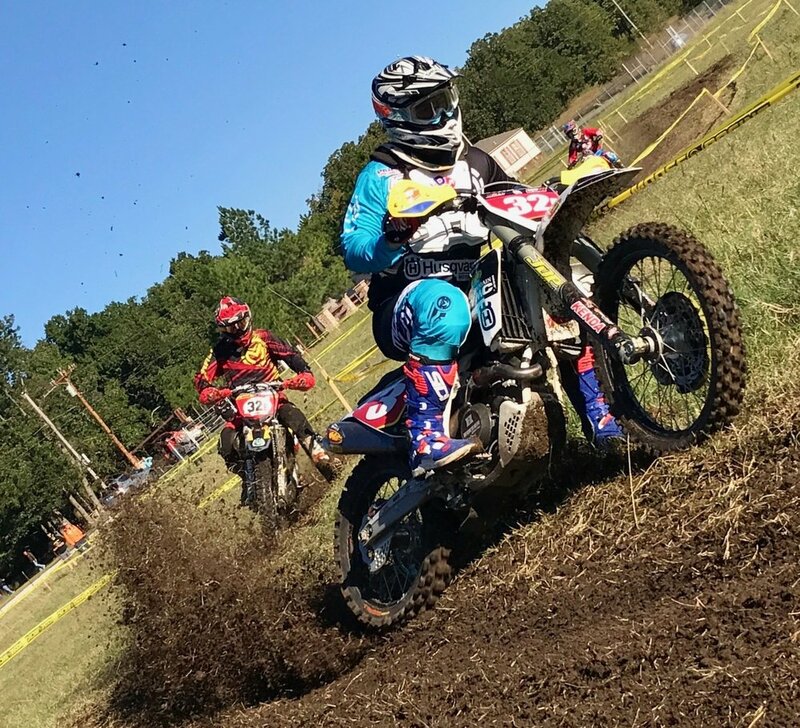 (October 17, 2017) – Grant Baylor raced his way to second overall at this weekend’s John Zink Ranch National Enduro in Sand Springs, Oklahoma. Rain showers over Saturday night made for slick conditions in the morning and Grant Baylor struggled through the first test, starting the day outside the top ten. Baylor quickly turned his day around winning test three, and finishing every other test in a podium position. Just before the end of the day, Baylor passed Duvall to claim second overall, narrowly missing out on first by 14 seconds. Baylor’s finish also helped him solidify his third place overall standing in the national championship chase. Chase Sweda raced his way to seventh in B 250. Maximo Gutierrez found success on the rocky and tight trails, winning the 200 C class. Gutierrez sits second in the title chase by only 25 points as the series winds down. Ambrocio Gutierrez placed inside the top ten with ninth in the highly-competitive 40+ B division. The season finale Gobbler Getter NEPG is slated for Sunday, November 5 in Stanton, Alabama. The Rocky Mountain ATV*MC/KR4/Husqvarna Team will converge in Young Harris, Georgia this coming weekend for the Rock Crusher Full Gas Sprint Enduro (FGSE). Enduros are one of the oldest forms of motorcycle competition. Run on a challenging route that includes wooded and desert terrain, more difficult "test" sections are connected with roads, fire roads or easy two-track trail. The Enduros are one of the most thrilling and fulfilling forms of motorsports competition. The discipline's top riders compete in the AMA National Enduro Championship Series. Find out more at www.nationalenduro.com. KR4 Performance is a leading professional and amateur race team that participates in the Grand National Cross Country Championships (GNCC), the Full Gas Sprint Enduro Series (FGSE), and the National Enduro Promotions Group (NEPG) Series. KR4’s team won the 2016 Kenda Full Gas Sprint Enduro Championship. 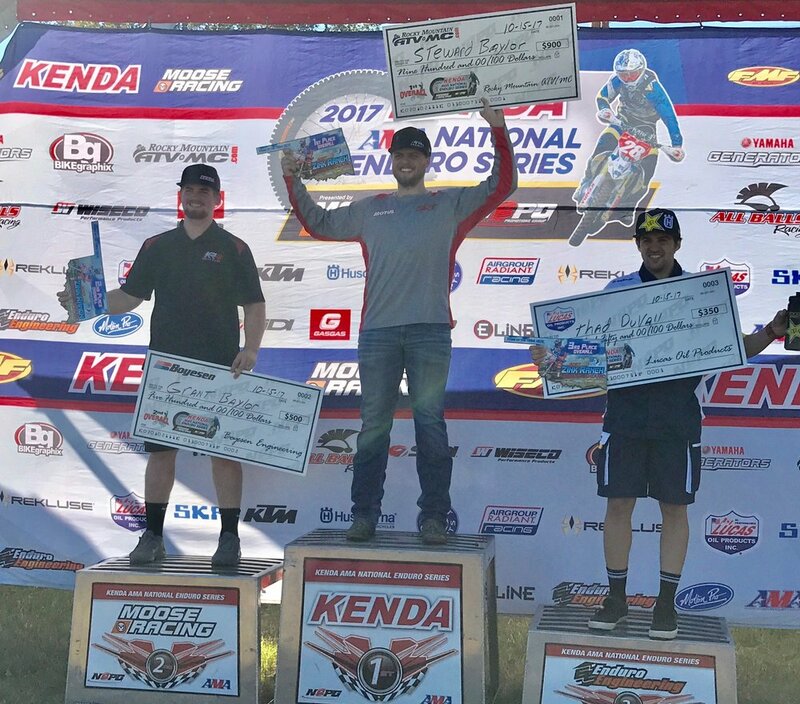 KR4 Pro, Grant Baylor, was a member of the 2016 Junior American ISDE team, which placed 2nd in the 2016 International Six Day Enduro. KR4’s solid team structure is made up of former GNCC pros, expert motorcycle mechanics, and industry enthusiasts that are 100% dedicated to helping clients achieve their racing goals. Visit www.kr4performance.com for more information. KR4 is paving the way for the future of off-road racing with its unparalleled Arrive-n-Ride Program, saving riders time, money, and hassle. For an affordable fee, KR4 can offset the cost of racing and have everything ready for riders on race day. With the KR4 Arrive-N-Ride program, bikes are prepped by the KR4 team before a race and delivered with gear to riders on race day to the location of their choosing. To learn more or sign up for the Arrive-n-Ride Experience, please contact fkeegan@kr4performance.com or visit www.kr4performance.com. For additional information, follow the team on Facebook, Twitter, Instagram. For the team’s photo gallery, visit their Flickr page.